Just 4 percent of the world’s female population lives in the United States, but the U.S. accounts for more than 30 percent of the world’s incarcerated women. Kelly Savage was married to an abusive husband. Just hours before she had planned to escape from him he beat her and their 3-year-old son, who died from his injuries. Eventually both Savage and her husband were convicted of murder. Savage was found guilty under California’s “failure-to-protect” laws and she spent the next 22 years behind bars. Finally, in late 2017, then-California Gov. Jerry Brown commuted Savage’s sentence. Marissa Alexander, a Florida mother of three, fired a warning shot at her abusive husband and was originally convicted even though she was arguably within her rights under the state’s Stand Your Ground law. As the stories of Alexander and Savage demonstrate, women’s prisons are filled with people in prison for someone else’s violence. “As Marissa put it, when you do everything that the law says you are supposed to do, but the law isn’t meant for you — where do you go from there?” Alisa Bierria, co-founder of Survived and Punished and professor of ethnic studies at UC Riverside, told the audience at the UCLA Center for the Study of Women’s recent “Thinking Gender” graduate student research conference. 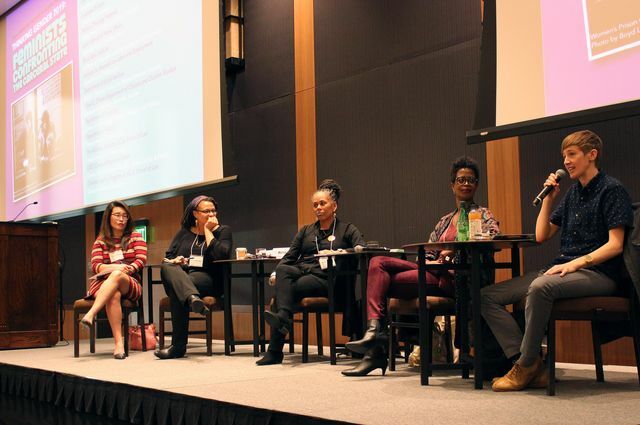 This year’s conference, the 29th of its kind, was titled “Feminists Confronting the Carceral State” and drew more than 500 organizers, scholars, activists and thinkers from around the country to present working papers tackling the ways the prison industrial complex has affected and continues to affect women, and ideas for responding to it. Part of the three-decade-plus mission of UCLA’s Center for the Study of Women has been to advance social justice, and the collective wisdom, imagination, scholarship and activism of the center’s affiliated faculty and students will continue to play a critical role in sweeping nationwide efforts to abolish the prison-industrial complex in America. 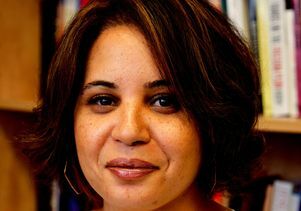 Haley leads the center’s research arm dedicated to systems of state violence and incarceration — also known as “anti-carceral feminism” — a vital area of scholarship given the physical and ideological geography of UCLA, which is located in a city that on any given day, houses more humans in cages than any other state. During the conference, students presented working papers of dissertations that grapple with a wide range of contemporary and historical issues and case studies that reflect the inequity and violence inherent in the U.S. criminal justice system and the ways in which the system of incarceration is seeping into public spaces, particularly for homeless women. They’re tackling troubling realities such as that of “punitive help” that grossly affects women fleeing or surviving domestic violence when shelters and group homes function similarly to prisons. Women fleeing domestic violence are often seeking help from a system that already failed to protect them, and which is largely not designed to, several speakers pointed out. Just 4 percent of the world’s female population lives in the U.S., but the U.S. accounts for more than 30 percent of the world’s incarcerated women, according to data analyzed by The Prison Policy Initiative. It is estimated that between 1977 and 2004, the number of women prisoners in the United States increased by a staggering 757 percent. The punishing reality that exists alongside these statistics is the way in which prisons have evolved to operate as profit engines in the U.S. economy. “We must confront the impact of for-profit prisons and also the massive economic incentive that exists in tandem with public prisons, which is something that is under-discussed,” Haley said. There are prisons that are outright operated for profit by corporate entities, and there are also myriad for-profit industries and corporations that exist to serve public prisons — security technology companies for example, Haley noted. 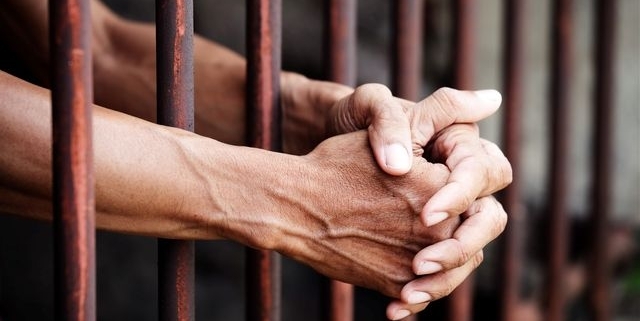 And for the past three-plus decades, funding prisons has been largely accepted as a public necessity, while government financial support for social welfare programs has dwindled. Speakers at the Feminists Confronting the Carceral State conference. Leaders of prisons largely acknowledge that anywhere from 80 to 90 percent of women in prison are also victims of domestic violence. Once inside they are subjects of an extremely violent space, layering trauma on the traumatized, said Colby Lenz, a doctoral candidate in American studies and ethnicity at USC and a legal advocate for the California Coalition for Women Prisoners. The most vulnerable, she noted, are gender non-conforming people who are locked up. Lenz is also a co-founder of Survived and Punished, a national organizing project seeking to end the criminalization of survivors of sexual and domestic violence. They’re building on the work of scholars who have been leading the cause for decades, such as fellow keynote panelist Beth Richie, department head of criminology law and justice and a professor of African American studies at the University of Illinois at Chicago. 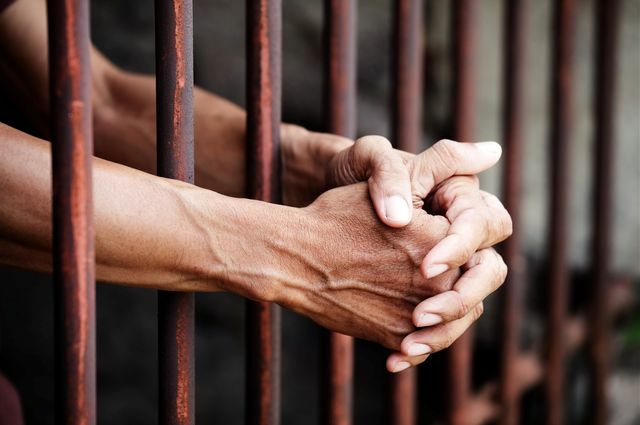 The state of the carceral state should be alarming to everyone, whether or not you have been affected by it personally, said Romarilyn Ralston, program coordinator of Project Rebound at Cal State Fullerton and an organizer with the California Coalition for Women Prisoners. Ralston spent half her life in prison and attributes her freedom in part to the efforts of abolitionist activist scholars, one of which she has become. America’s jails and prisons are decidedly not run as a spaces of rehabilitation for people currently serving time, she pointed out. And the need to keep prisons full and profitable inhibits massive and transformative changes into how many people are winding up in prison, or winding up back in prison after getting out, she said.